Bicycles are an increasingly popular mode of transportation in West Palm Beach, both because they present both environmental and economic advantages. Whether you ride for exercise or to get from one designation to another, you have the right to assume that other drivers in motor vehicles on the roadways will drive safely so that you are not injured. When a driver breaches this duty of care and causes an accident with a bicycle, it is almost always the case that you, as a bicyclist, will suffer much more severe injuries than would be true had another motor vehicle been involved. At Gonzalez & Cartwright, P.A., we are dedicated to protecting the rights of bicyclists who are injured because of the careless actions of West Palm Beach drivers. We know that you will have questions about your right to recover compensation following a bicycle accident, and will explain all of your options for proceeding in recovering monetary compensation from the insurance company or the negligent driver. 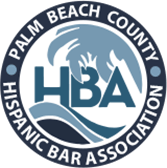 We are a hispanic-owned, fully bilingual law firm dedicated to protecting the Hispanic community throughout South Florida and West Palm Beach. You were injured as a result, and suffered financial or physical loss because of the accident. This type of loss can also be demonstrated by showing you suffered because of the death of a loved one. We can also argue that the driver’s violation of a traffic law that caused the accident was negligence per se, so that the driver should be held financially responsible for all of the damage that the accident may have caused. Bicyclists have the legal right to share the roadways with other motor vehicles under Florida law. In many places, bicycle lanes have been installed to provide a more safe way for bicyclists to share the roads, but if there is no bike lane present, bicyclists are still entitled to ride on the far right side of the actual road itself. This means that the driver of a motor vehicle cannot claim that you were responsible for a bicycle accident in West Palm Beach even if you were driving in the roadway itself. Regardless of how severe your injuries initially appear, it is important to seek out both medical and legal support as soon as possible after your accident. Bicycle accident injuries are often severe and can be long-lasting, but are not always immediately apparent to the untrained eye. If you have questions after sustaining injuries in a bicycle accident, contact our West Palm Beach personal injury lawyers over the phone or by filling out this online form, to schedule a free initial consultation today. Our main office is conveniently located at 813 Lucerne Ave, Lake Worth, FL 33460, and we also have an office in Pompano Beach, Florida. We are also available to visit you in the hospital or in your home while you recover from your injuries. West Palm Beach is a major tourist destination located in South Florida, in the Miami metropolitan area, about 68 miles north of Miami itself. West Palm Beach is the county seat of Palm Beach County, and was home to over 100,000 residents as of the 2010 census. The area is home to many historic buildings and museums, including the Old Northwood Historic District, which was developed between 1920 to 1927, and the Richard and Pat Johnson Palm Beach County History Museum, located in the 1916 courthouse in downtown West Palm Beach. The tropical climate of West Palm Beach is a major tourist draw, as are the many festivals and cultural events that take place in the area. Because of the area’s year-round temperate climate and relatively flat terrain, West Palm Beach is a popular area for bicylists all year. FAQ: What if I was injured in a bicycle accident in West Palm Beach, but was not wearing a helmet at the time the accident occurred? What is comparative negligence? Under Florida law, you are only legally obligated to wear a helmet if you are under the age of 16. Although wearing a properly fitted helmet can be critical in protecting you from the most severe injuries in a bicycle accident, failure to wear a helmet will not prevent you from pursuing a legal claim for compensation after a bicycle accident. 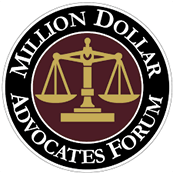 Florida’s comparative negligence law will, however, require that your compensation is reduced in proportion to the degree of fault that can be assigned to you. As in all cases, your right to recovery will depend upon the specific facts and circumstances surrounding your accident, making it important to get the advice of an experienced bicycle accident lawyer in proceeding with your case. FAQ: How long do I have to bring a lawsuit after a bicycle accident in West Palm Beach? As in any other personal injury case, Florida law gives you four years to file a claim to recover monetary damages from the at-fault party after a bicycle accident.